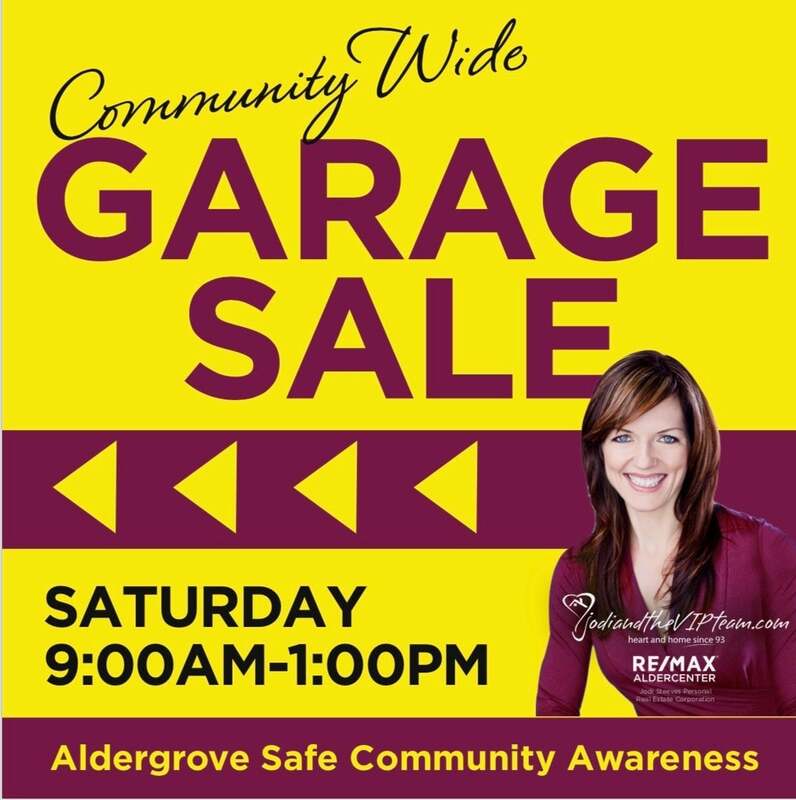 Jodiandthevipteam Aldergrove Community-wide Garage Sale on June 2nd from 9 am - 1pm. There is still time to join. Cut off to be added to the map is May 24th at midnight. Just message us your address and we will do the rest. A detailed map will be available at jodiandthevipteam.com as of May 25th or you can start your garage sale bargain shopping at 26821 33b and grab a hard copy map at this location or drive the area and spot the yellow garage sale that you see posted.